Reimaru gets hold of LoFS Designer TG Yap as we talk more about Boomzap’s unique approach to the RTS genre. Just recently SEA-based game developer Boomzap Entertainment launched their Kickstarter campaign for their upcoming title, Legends of Fire & Steel, a multi-platform RTS that is said to feature mechanics from Civilization and Heroes of Might and Magic. Boomzap has stated that part of the goals of LoFS is to help resolve the age old issues from traditional strategy games by implementing board-game disciplines, easy-to-understand controls, and a much more simultaneous gameplay. With the game itself already in development long before the Kickstarter campaign even started, we’ve managed to get hold of LoFS game designer TG Yap as we talk more about some of the unique features of the game, and it’s future release. Reimaru: Boomzap describes LoFS as a large-scale RTS game like Civilization, yet simple enough for everyone to learn, can you tell us more about this interesting mechanic like what specific features make the game easy to learn? TG: For one, we’ve kept the UI as simple as possible, cutting out needlessly complicated interactions and streamlining the process for players; most of the in-game information can be gleaned in one glance, and any that aren’t are just one tap away. We’ve also made it a point to utilize mechanics and elements that strategy players are already familiar with and just added our own twist to said elements. Reimaru: One interesting feature that I find is when you’ve stated that the terrain and map layout helps in dictating what strategies a player can use in PVP and PVE battles, can you give us a quick example of this feature? TG: Certainly! 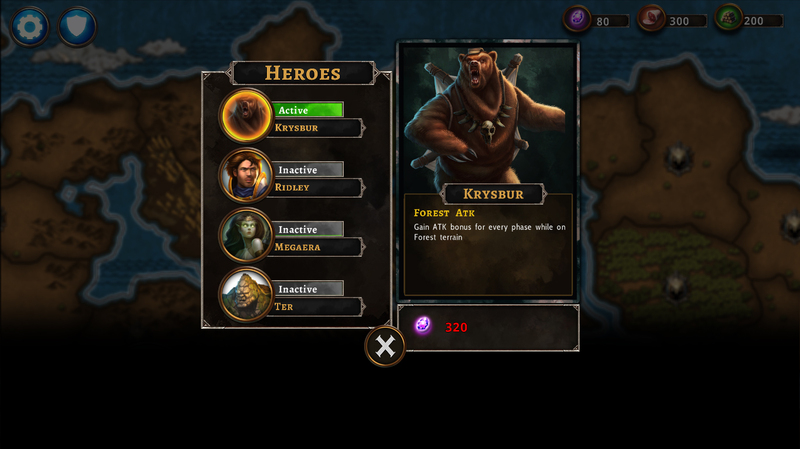 Each hero and each unit has specific strengths and weaknesses – some fight better in the mountains, some in the forests. Knowing the maps, and knowing a strategy for which areas you will want to conquer will help you determine which heroes to use in the battle. 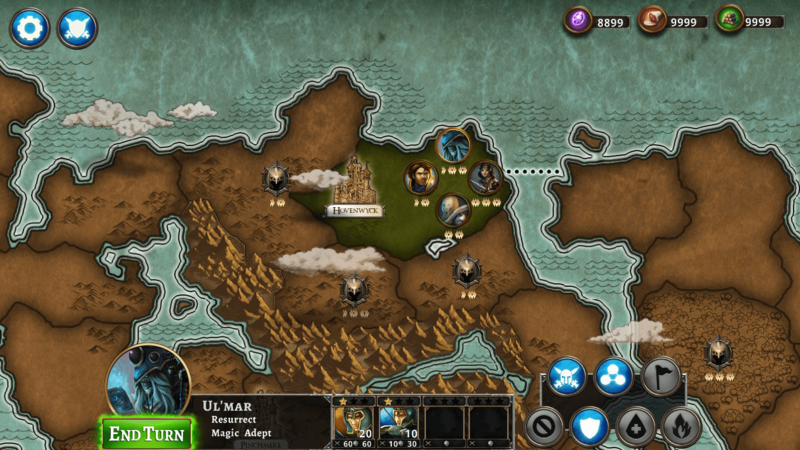 Additionally, different lands produce different resources, which are used to build and upgrade your armies. Knowing what you you plan to build later will define which territories you focus on taking earlier in the game to provide those resources. Specific, planned, shortages of some materials in some maps will make specific territories more obvious targets, and this, flashpoints for conflict. Reimaru: LoFS aims to remove the hotseat feature, wherein players wait for each other’s turns to end, present in most turn-based RTS by following board game or card game discipine, generally this would cause confusion among players as they tend to think that Card and Board games also feature the “waiting for your turn” mechanic, can you explain more or even give us a good example to help us understand this feature? What we’ve done is to replace the traditional hotseat feature with a ‘planning’ stage then ‘execute’, much like Diplomacy. All players first determine their heroes’ moves during planning then have their actions be resolved/revealed together all at once in the execution phase. In doing so, we’ve added an additional layer of gameplay wherein the player isn’t privy to the others’ movements/actions until after they’ve made their own play and subsequently has to anticipate what their opponent might do. Reimaru: Aside from the beta test grant for Kickstarter backers, are you also planning to do aseparate public beta testing for the game before it gets released? TG: Obviously, since we’re offering the beta test status as a reward for the Kickstarter audience, we need to keep it special – if we opened it up to everyone, there would be some very legitimate questions about “what did I pay that extra money for!” That being said, we’ll evaluate the number of people who sign up for the beta test during the Kickstarter campaign, and make sure that they get some special time to be involved with the project and have their voices heard, and if the development process warrants it, perhaps open the game up for a second round of final balance testing to a wider audience. Speaking of rewards, we’d like to remind everyone of the more exciting customizations you can get at a higher backer tier. 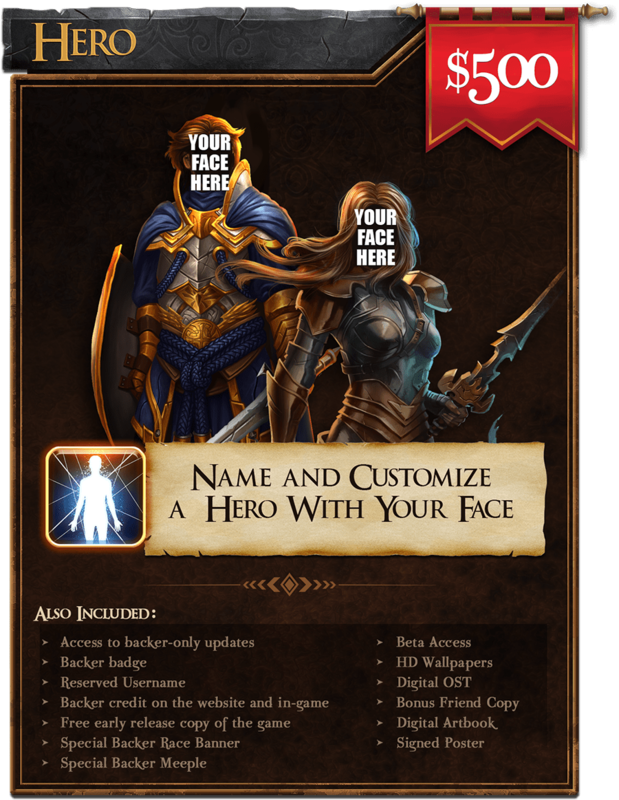 We can get YOUR face on one of the heroes, or you can even create the whole concept! There are also several things to name like creeps, territories, and maps. Imagine playing multiplayer mode with your friends and they see your face or name in the game! Look Ma, I’m on a video game! -Backer badge, reserved username, and your name on the credits! Reimaru: Right now, the game is slated for PC, Mac, and Tablets (iOS, Android), will fans be expecting a Linux release in the near future? TG: I want to point out that the game will function much like Hearthstone, in the sense that you will buy access to the game once, and then you can access that account and all unlocked maps, etc. from any device we support. So you can build up your leaderboards on the PC, and then sit down and play the same profile on your tablet. We currently have Linux on the schedule, but we can definitely add that as a stretch goal for the project. We don’t have any current plans for console. Reimaru: Is there already an estimated time of release for LoFS? We’re planning to start beta testing around September, and release the game around November. You can send in your pledge by visiting the Legends of Fire and Steel Kickstarter webpage, additionaly, you can get more updates about the game by subscribing the the LoFS Facebook fanpage. 2 Responses to "Boomzap’s TG Yap talks more about Legends of Fire and Steel"